The Hotel Zur Sonne is the ideal starting point for lots of great skiing in the Cardano area. 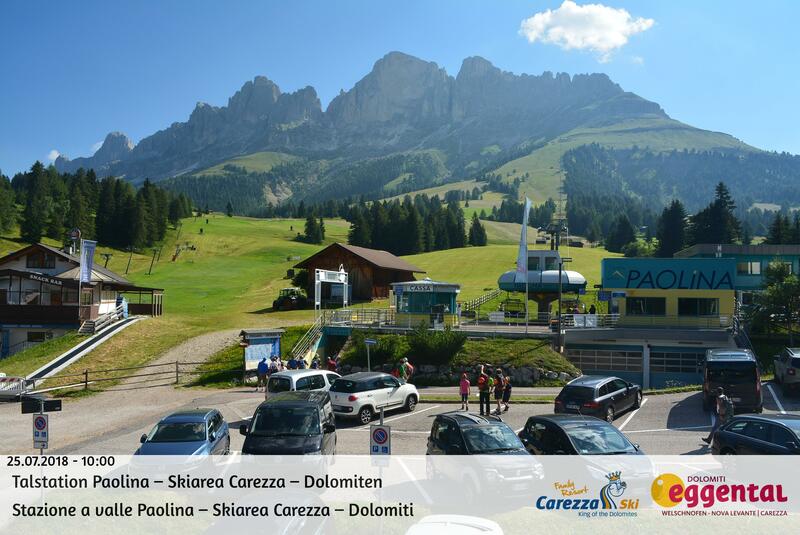 There are several ski areas just a few kilometres away: the Obereggen Ski Centre Latemar, the Carezza ski area, and the Alpe di Siusi/Val Gardena ski area. 18 super-modern ski lifts take you from 1,550 metres up to 2,500 metres, and connect Obereggen to the Pampeago and Predazzo ski areas. You’ll have a choice of 48 kilometres of slopes, three toboggan runs, night skiing and snow parks. And away from the slopes in the Obereggen ski area, winter sports enthusiasts have lots of opportunities for enjoyable cross-country skiing, winter walks or snowshoe hikes. The Carezza ski area famously averages eight hours of sunshine a day in winter, and so ranks as the sunniest ski area in South Tyrol. It is also particularly suitable for families. The facilities include 15 ski lifts, 41 kilometres of slopes, and many wonderful offers and attractions for children and all the rest of the family. The largest plateau in Europe provides visitors with 175 kilometres of slopes and 80 ski lifts. From this ski area, you can access the famous Sellaronda: one of the most spectacular one-day ski tours for skiers and snowboarders, taking you on a complete 26-km circuit of the Sella massif.